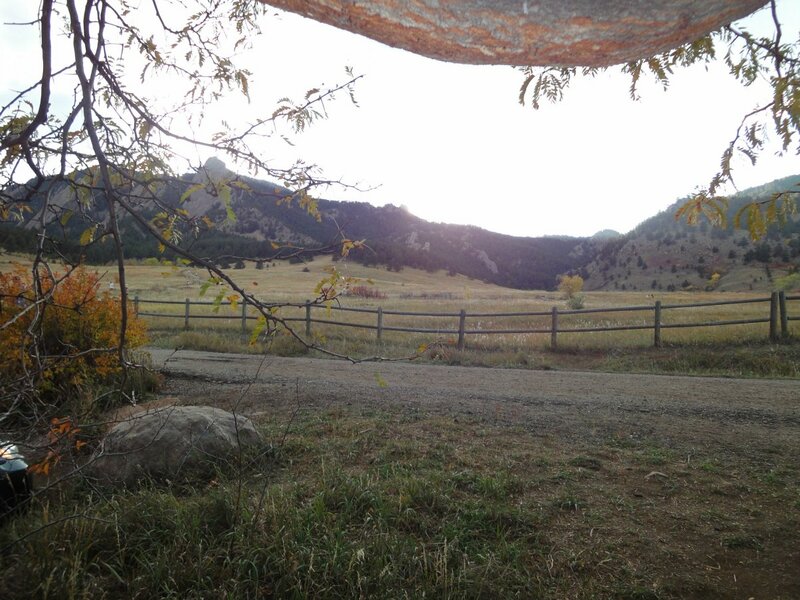 Chautauqua, Boulder is one of the most amazing spaces I have ever hiked. 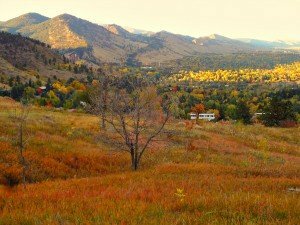 When planning your visit to Boulder, be certain to allow time to hike this amazing trail (there are actually many different trails to select from). 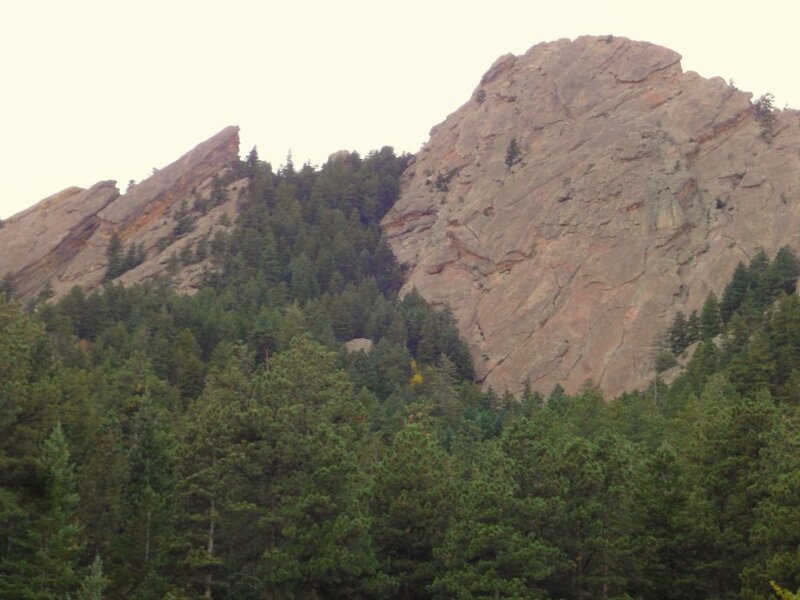 For the very fit, you can reach Boulder’s Royal Arch — a rugged 3 plus mile hike starting at the parking lot. 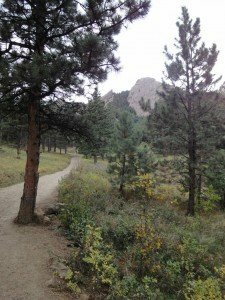 For entry level hikers, enjoy a walk up the main pathway. Bring plenty of water. Boulder is at a higher elevation and you can get a lot of sun all year round — so use sunscreen. The main path has a gradual yet constant grade. In addition to stunning vistas and incredible hiking, there is also great food. The Chautauqua Dining Hall has been serving visitors since 1898. Captivating views abound from the wide planked covered deck wrapped around the building. Inside, you’ll enjoy an atmosphere that harkens back to olden times yet feels comfortably contemporary. Once you are filled up on great food, time to hike and burn off some calories. Grab a map, get suggestions and view an exhibit at the Ranger Station (top of parking lot). There are public bathrooms at the Ranger station as well. Now it’s time to hike. There are plenty of great trails to select from. 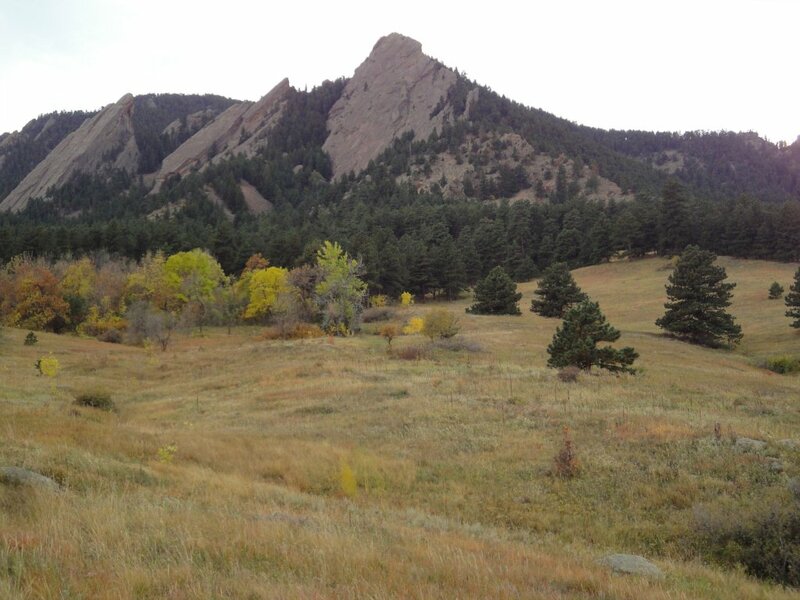 Some of my favorites include Bluebell-Baird and the Mesa Trail. 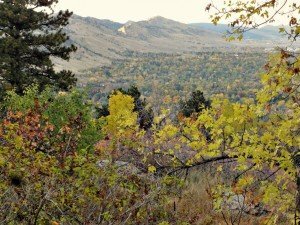 You are bound to find a hike that meets your comfort level for the day. You will find residents and visitors alike hiking all year round. Weather can change quickly, so be prepared. A few years back, my son and I set out for a hike on an unseasonably warm winter day. It was actually hot out and we dressed in shorts and t-shirts and were very comfortable on the way up. Then a cloud system moved in. The sunshine was replaced by gray clouds and light snow flakes. As we hustled down, we noticed families bundled-up wearing winter parkas going up. 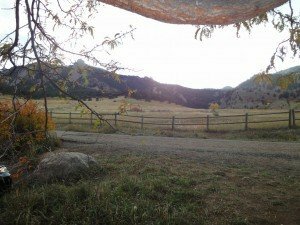 Of course, the photos on this blog were taken on a warm Fall day. The photos are all of the main hiking trail just out of the parking lot. Enjoy great views as you climb up, walk down or just hang out taking a breath. Chautauqua is a fabulous treasure in Boulder. Be sure to visit at least once! 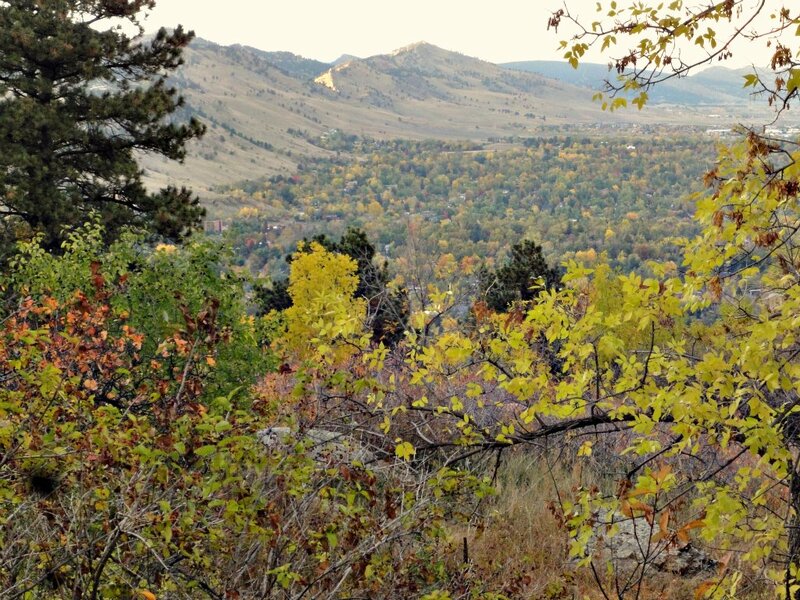 Once you have explored all that Chautauqua has to offer, Another wonderful hike to take is Mount Sanitas. 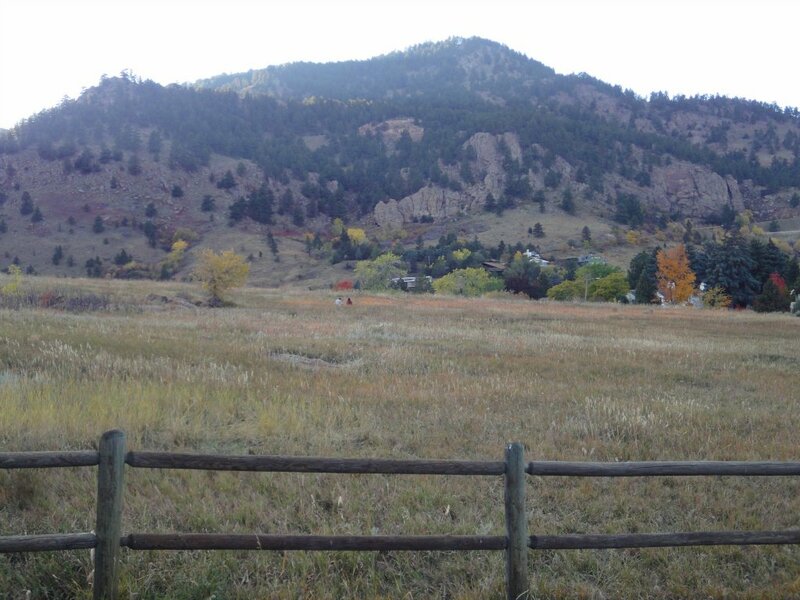 You can see that hiking area in the attached photos. 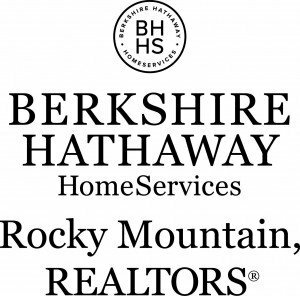 View the latest homes for sale in the Chautauqua area now!